I love skirts, I really do. 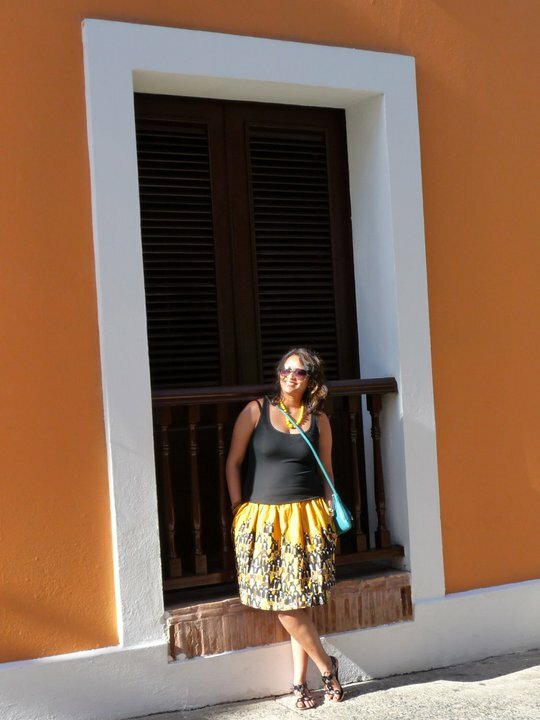 And I love skirts even more if they are printed – quirky prints, is what I am talking about. So back to present, with a fashion blog, with fashion risks and printed skirts neatly tucked in my wardrobe, I confidently say – Buy printed skirts, even better if it has a quirky print coz you ‘can’ rock it! 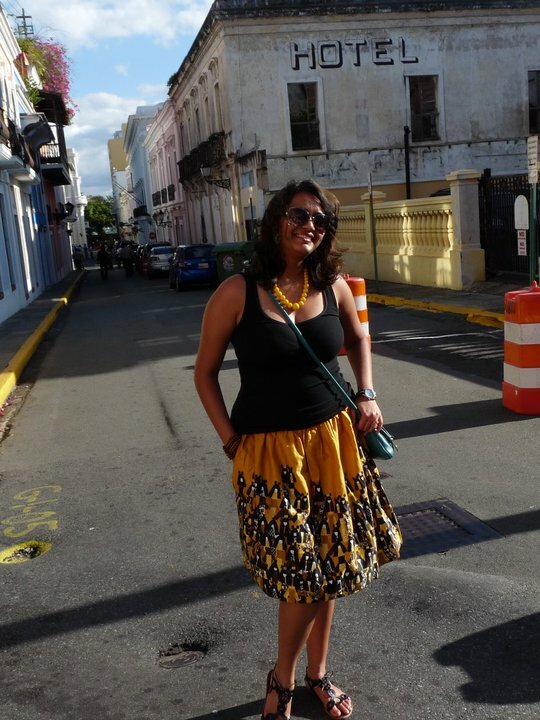 This was a comfy outfit for a day out in Washington DC when J's best friend from college and his wife were visiting us from India. We had a fun day out with them; it was also the first time we were visiting DC after we moved here (Though I have been to DC twice when I was in Boston). We took them around to all the historic monuments in DC, the Smithsonian Museum and to the happening place called Adams Morgan (a suburb in DC). 1) Pair it with a tank top or plain tee. Select the primary color from your print. If you can’t point one primary color, go ahead with any color on the skirt. You just want the tee color to be in contrast to the skirt. 2) Pair it with a striped top. Stripes are a safe way to mix prints and instantly enhance the chic quotient. 3) Pair it with polka dotted tee. If striped top is here, can the make polka dots be far behind? Polka dots are a sure way to fire up that outfit. Which of these is your favorite look? Brown belt - NY and Co. P.S. : For readers in US - if you haven't visited Anthropologie, then I would suggest that you should indulge in at least window shopping there. I love their skirts; top-of-the-line material and the print is always one of its kind! I would definitely recommend combing through their sale racks every now and then. P.P.S: Linking it to 'What I wore Wednesday' here and here. oohh... i Love the yellawww skirt.. It's so fun.. i love window shopping at anthro.. They have such great stuff.. m glad you found one at a great price.. M liking both the outfits..
P.S. Will be replying to your email in a bit..
such a pretty skirt! love the print! Don't forget to enter my chloe + isabel GIVEAWAY! 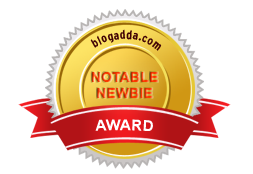 Thanks alot for visiting and commenting on my blog..
Hi I just awarded you the Sunshine Blogger Award. Please click here for more details. Or if the link doesn’t work http://myinspiredlifewithfibromyalgia.blogspot.com/2012/07/another-blog-award-sunshine-blogger.html. Congrats. Your skirt is absolutely gorgeous! And I love it paired with the stripes!!!!!! thank u soo much Emily! you made my day! 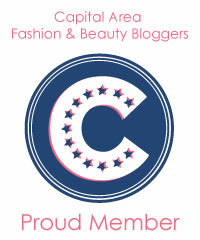 Love it ♥ You are very inspiring dear.I just discovered your blog and really like it.! I just shared Rainbow Nails on my blog. If you have a minute, I would love to hear your comment. Ok I am LOVING that you added stripes to this fun skirt - that is such a chic way to style the querky print :) You look gorgeous! Second looks is really cute! Pretty skirt. I love those yellow beads too that you've matched with the skirt! Beautiful outfit!!! I love your skirt! take a look on my blog and if you like we can follow each other? loving both the outfits here//but deviating more towards the first one!!! and ur so right..following fashion blogs has also made me more of a risk taker fashion wise!!! the whole look is perfect!!!! Beautiful outfit, that skirt is so pretty! your skirt is beautiful and so are you!! new readers - I will be visiting your spaces soon! Wow, what a great skirt! I love it!